Stacey Abrams teased a possible presidential run on CBS’ Late Night with Stephen Colbert Wednesday. The author, activist and former Georgia gubernatorial candidate told Colbert a POTUS run was definitely on her to-do list. She also refused to deny she was planning to join the 2020 race. Abrams was on the show to promote her book, Lead From the Outside, which is third on the current New York Times paperback nonfiction bestseller list. The book was originally released as the hardcover Minority Leader in April 2018. “In the book, you have an Excel spreadsheet of life goals. Is [becoming] president still on that spreadsheet?” Colbert asked Abrams. “It is,” the former minority leader of the Georgia House of Representatives replied. Colbert then asked if she could confirm she wasn’t planning to join the already-crowded 2020 Democratic field, which already includes a bevy of high profile politicians like Bernie Sanders, Elizabeth Warren, Kamala Harris and Kirsten Gillibrand. Harris, incidentally, released a book just weeks before announcing her bid in January. 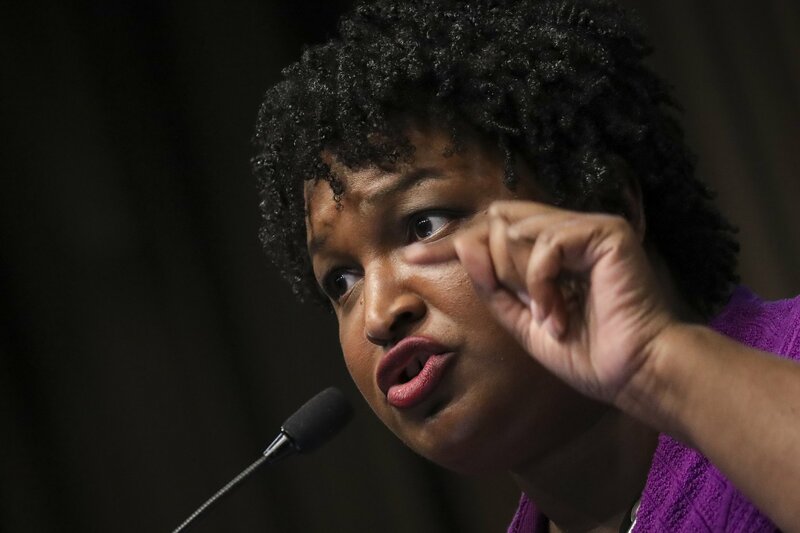 Reiterating her point, Abrams replied: “I am not willing to declare anything tonight,” Abrams said. In March, she tweeted that 2020 was “definitely on the table,” after telling the crowd of the South by Southwest Film Festival (SXSW) she wasn’t planning on running for president until 2028. “2028 would be the earliest I would be ready to stand for president, because I would have done the work that I thought necessary to be effective in that job,” she told the SXSW audience in Austin, Texas.